How many knots do you know (other than the shoelace knot)? Probably not many. But believe it or not, knots can be very useful. They can be used for boating, construction, and various DIY projects. 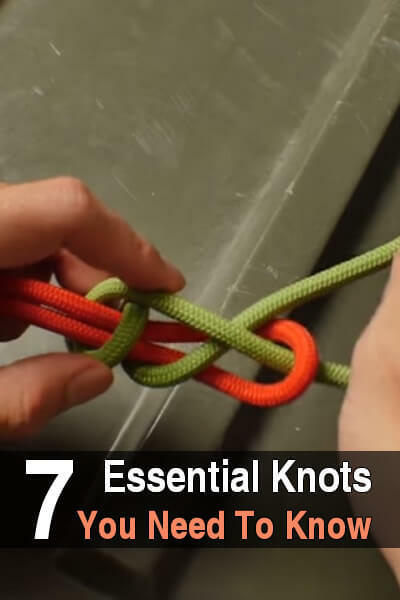 This video covers seven essential knots that will allow you to use cordage however you need. In the video, InnerBark Outdoors explains what each knot is used for and how to make it. The instructions are clear and simple. Alan, that is an excellent presentation! Every step is clear, no wasted motion, and perfect photography! Great work, and thank you! I wish I could take credit, but I’m just sharing a presentation by InnerBark Outdoors on Youtube. They make excellent videos.